The certification will immerse participants into the Hacker Mindset so that they will be able to defend against future attacks. It will put them in the driver’s seat of a hands-on environment with a systematic ethical hacking process as well as expose them to an entirely different way of achieving optimal information security posture in their organization; by hacking it! It will cover the Five Phases of Ethical Hacking of Reconnaissance, Gaining Access, Enumeration, Maintaining Access and covering tracks. 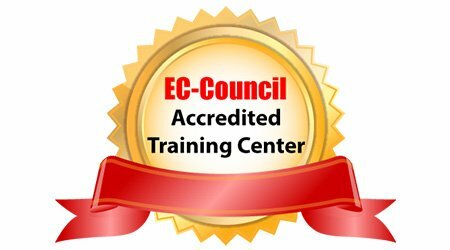 AKTINA is an EC-Council Accredited Training Center (ATC), authorised to offer its official courses and exams.